Gardening enthusiasts have added a splash of colour around the district through their Carrickfergus in Bloom endeavours. 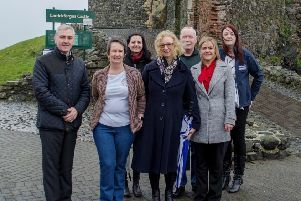 The annual initiative, the results of which have just been announced by Mid and East Antrim Borough Council, attracted entries from individuals, community organisations and businesses. Featured here is a selection of some of the winners and runners-up from the community competitions.